If you’ve been practicing for any amount of time you’ve likely seen the devastation that comes when a family pet is diagnosed with, or succumbs to cancer. You’re probably also aware that as our pets live longer the incidence of this disease is on the rise. At Crossroads Animal Hospital, we’ve decided we want to be part of the solution to this problem, instead of just reacting to it. We’re joining forces with FETCH a Cure, a local non-profit that raises money for a cure and provides resources to owners with pets who are currently undergoing cancer treatment. 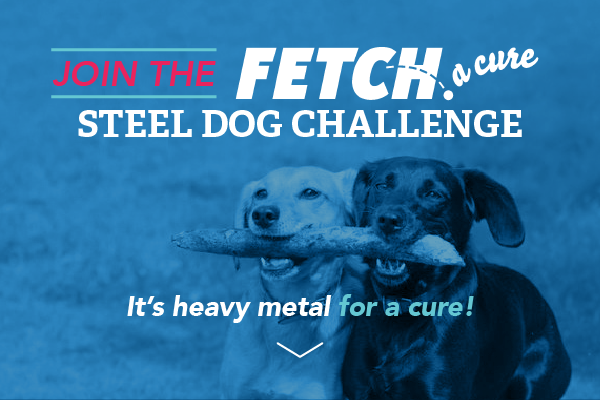 We’re doing this by becoming a sponsor of the FETCH a Cure Steel Dog Project—a fun and innovative way to raise funds and bring awareness to the cause. Steel dog sculptures are sponsored by local businesses and individuals, who ask or hire local artists to decorate them. The dogs are then placed in high-traffic locations throughout the community. These eye-catching works of art start a conversation about pet cancer, reminding people to check their pets for early warning signs and to make them aware that FETCH a Cure is there to help. Veterinary hospitals and clinics like yours are on the front lines of the fight against pet cancer and know the lives lost. That’s why we’d like to challenge your hospital to become part of the fight and sponsor a steel dog. At Crossroads Animal Hospital, we’re throwing down the gauntlet and challenging you to a little friendly competition! Join us in sponsoring AND decorating a steel dog to support FETCH a Cure. Then put your decorated dog to a public vote at Dog Fest at IX Art Park in September. The winning artwork not only gets bragging rights, but a special prize too. May the best dog win! FETCH a Cure volunteers will be responsible for transportation of the steel dogs to and from any events and exhibits. You’re on the front lines, just like we are—so won’t you meet our challenge and sponsor a FETCH a Cure steel dog of your own? For more information or to sponsor a dog, email sarahm@fetchacure.com or call 804-525-2193. Thank you for your support, and we hope to see you at Dog Fest this September!